PHP matrimonial script is one of the most trusted scripts for matrimonial websites. So far we have sold more than 80 licensed products for different communities and various regions. On the occasion of our 12th anniversary, for PHP matrimonial script we offer next 1 year free support, 6 months update, brand free and one time free installation. It definitely satisfies you and your user as best Matrimonial Script totally contains all essential and features concepts. 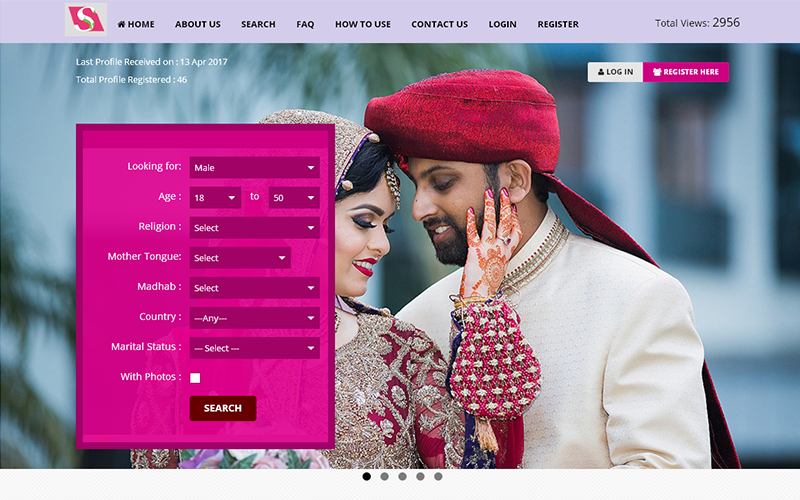 Our community matrimonial script suitable for Hindu matrimonial Script, Muslim Matrimonial Script and Christian matrimonial Script, you can customize based on your community you can modify caste, home page banner and necessary modification. Our matrimony script is fully able to re-brand and you can customize the theme to fit your business concept. And also our script is fully scalable so that it can easily fit small and large matrimonial websites based on your requirements. We know that getting your website to the users and match seekers is necessary which is why we have made our script to be SEO-friendly by optimizing it in accordance Google standards. Valid user name and password. I have worked with many different companies around the country. Everything was basically the same, delivery time late, lots of bugs in script, very expensive but bad customer service. Doing my research I found PHP Scripts Mall, they answer all my questions right way and I had a proposal of in minutes. It is a Genuine Company.